To listen to this entire episode, click the play button below. You can also add it to your favorite podcast app. And if you’re a reader, you can scroll down for a full transcript. Kira: It’s our new membership, designed for you to help you attract more clients and hit 10k a month consistently. We do not have an intro for this episode. I guess we’re just going to wing it. Kira: Is that your intro? Rob: I think that’s our intro. Yeah, why not? Hey, everybody. Hey, Kira. 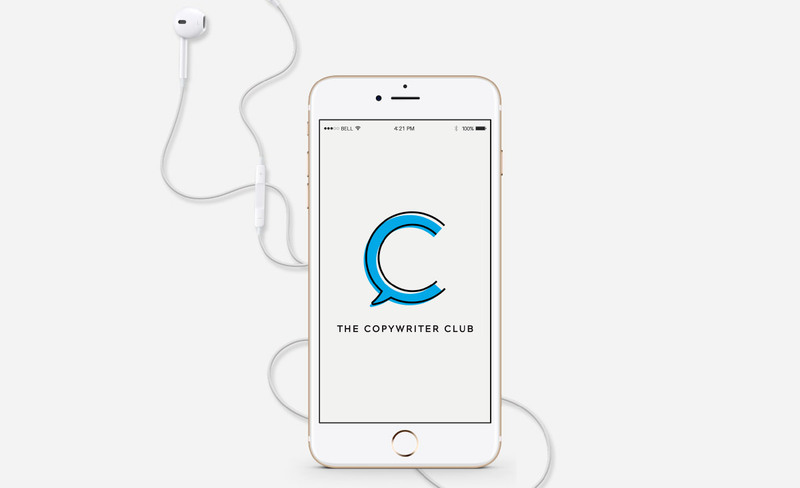 It is Episode 123 of The Copywriter Club Podcast, and it’s just you and me today. Kira: Yeah, it’s just us, just more quality time together. I love it. Kira: I just want more time with Rob, all the time. Rob: Which is hard to do, because we live far away, and we both have separate families. Yeah, we squeeze in what we can. But I have a question for you, Kira. It’s been a long time since it was just you and I on a podcast episode, last summer. What has been going on? What’s changed in your business over the last few months? Kira: That’s such a big question. A lot. I think in that last episode I was talking about how painful it was at the time, and I think the pain is still kind of there. It’s just changed. I’ve made a lot of improvements to my business, but I’m still juggling two businesses, so I think if you’re juggling two businesses and a family, it’s just going to be a bit painful. But I am transitioning towards The Copywriter Club and focusing more time and energy on The Copywriter Club. I’m just not fully there yet. My time is still very much split. I probably had the busiest fall ever with my copywriting business, which was probably silly, just taking on a lot, building out a team, doing all the things I kind of told myself I wasn’t going to do, and then I just did it all and took on a lot. Now I’m trying to trim that and just focus on building this business and this community that we’re both so excited about, but making that transition is very messy for me. That’s it. Rob: One of the things I love about you and your businesses is that you’re just a doer. I mean, a lot of times you’ll say you’re not going to do stuff, and then you just go ahead and do it, but you have this vision of what you want to accomplish and the people that you want to work with, and you go out and you make it happen. I think that’s really admirable, even though sometimes it squeezes you for time, and it’s hard to accomplish everything sometimes. Kira: Yeah. Well, that’s a very positive way of looking at it, thank you. But no, I think that that’s what I do really well, and that’s also what will hold me back and drive me crazy, so that’s also what I’m working on, is just looking at how I operate and really questioning just a lot of things in my life and business. I kind of view this upcoming year as just a year to question, just question everything, because I think it’s really easy just to fall back into what comes naturally and your habits, and even your strengths that could end up holding you back from where you need to go. What about you, Rob? What’s been happening for you? Rob: My business hasn’t changed drastically. We launched The Copywriter Underground at the end of October, and because of the work and the attention that I’ve tried to play there, I’ve backed off on taking as many clients as I did through the previous nine months of that year and the year before. I’ve done less client work in order to support what we’re doing in The Underground and The Think Tank and all of that. That’s not really a major change, but my business has definitely changed. I’m to the point now where it’s like, ‘Okay, time to get back into client mode because I need to be able to pay the mortgage and support my kids and wife,’ and all of that. Yeah, so my focus this year is primarily, like you were just saying, on doing new things with The Copywriter Club, and we’ve outlined a few things that we want to accomplish this year that we haven’t done in the past, which is kind of exciting, but also just getting back into the habit of working with a couple of clients each month to make sure that there is money in the bank. Kira: Yeah. You said it’s not a big change in your business, but it has been for you, because you have focused so heavily on building the infrastructure for everything we’re doing in The Copywriter Club, the membership, event logistics for the event coming up in March, so much of that, and it would not happen without you. This isn’t me thanking you, although I should thank you every day because you do so much for The Copywriter Club to build it, but I think that’s a pretty big change, because you have taken a step back from the client work for a couple of months to really do the hard work, the not so … I mean, it’s the messy work, too, to build what we’re building. I imagine that your day looks very different with what you’ve been doing over the past few months, compared to what copywriters typically do when they’re just working with clients. Rob: Yeah, definitely. Yeah, and there have been a lot of back-end type things to figure out, to make sure that they’re working. It’s been a great learning experience. It’s tough. It’s been fun launching The Underground, and getting to know the almost 200 copywriters that are hanging out in there has been awesome. It’s been a great group. Yeah, it’s been good few months, and time to get serious again about moving forward with my clients. Kira: What does that look like for you, getting serious about moving forward with clients? What do you have to do to get that engine running again? Rob: A big part of it, I’m reaching out to clients that I’ve worked with in the past and just touching base, making sure that there are things that I can help them with, letting them know the types of projects that I’m working on, so there’s that. Another thing that I … I’m going to say it publicly, so this is going to make sure that it happens, is I’m going to be trying to do more outreach on LinkedIn. Rob: Not necessarily like reaching out, pinging clients and, ‘Hey, glad we could connect, and now I’ve got this thing to sell you,’ but trying to put a little bit more content onto LinkedIn, doing what Michal Eisikowitz has talked about and done. She’s somebody that we obviously admire a great deal, what she’s been able to build with LinkedIn, so doing more of that. Kira: It is not. I don’t know. Rob: It’s kind of like the nerdy little brother of social media. Rob: But it’s definitely a place where a lot of businesses are. Kira: Yeah. Yeah. Well, I’m also focusing on … Well, Michal’s going to help me build out my profile because I haven’t touched it in years, so I have a bunch of messages in there. My profile looks ridiculous and so amateur. She’s going to help me fix it up and figure out how I need to play in the LinkedIn space and what makes sense. Kira: Yeah. Actually, she’ll be speaking at our event in March, TCC In Real Life, which we’re definitely going to plug as much as possible throughout this conversation, because it’s our second annual event, and we’re taking a leap and going bigger with this event and just want it to be a huge success. She’s going to be one of the speakers, because she has exploded her business over the last year or two and done incredible things, and LinkedIn has been a really helpful platform for her to build her business. But she’s just one of the copywriters we know who’s just excelled in such a big way, and she’s done it through hard work and just being very strategic and saying no to a lot of things, and also juggling four kids, too. I’m just amazed by her. Really excited about her. I’m sure we’ll mention some other speakers, too. Rob: Yeah. You’re jumping right to the event, but let’s back up for a second. Kira: I just jump. I just jump. Rob: You were saying that we’re taking this leap thing, and this is something that we talked about last week on the podcast with Bryna, and it’s something that we’ve talked about in The Underground, that a lot of people who listen to the podcast but aren’t in The Underground certainly haven’t heard. But this idea of taking a quantum leap, let’s talk about that just for a couple of minutes before we get to our event and what we’re doing there. Kira: Yeah. I think if you’re listening to this episode, hopefully, you did listen to Bryna. If you haven’t, go back, because she is so articulate and explains the quantum leap in a way that just is really accessible and feels actionable and like anything is possible. It’s worth going back to that. But I think you and I are really into the idea, too. In the same time, we were interviewing her, you were actually working on the newsletter edition for The Underground. Each month we come out with a newsletter for The Underground that we actually mail to your house, which is pretty cool. You were already writing about the quantum leap before we even talked to her, so I know you were thinking about it. I have been thinking a lot about it. For some reason, you and I are really drawn to that idea. I guess a lot of people are. It is kind of a really intriguing concept. But I think because we are together, we are taking a quantum leap in The Copywriter Club and the business that we’re building together, and I think you can take multiple leaps. I think when I look back at my life and then even in the past few years, I’ve taken a lot of quantum leaps. It just feels really relevant to me and also relevant to a lot of copywriters in The Underground and in The Think Tank who are also taking quantum leaps. Then for copywriters who are asking, ‘Well, what can I do, I’m feeling stuck,’ it seems like this is a good solution, or just a good way to think about it, kind of a fun way to think about how to excel in your business, if that’s what you want. Rob: Yeah. If you haven’t listened to that last podcast with Bryna, a quantum leap happens in physics. It happens on the atomic level when an electron jumps from a lower orbit into a higher orbit. In order to make that jump, it requires a burst of energy, some new activity, and we’ve related that to how we operate in our lives, that in order to jump from a lower level to a higher level in your business or in your personal life, you’ve got to add that energy and jump. But as we talked with Bryna, the interesting thing about that is that according to quantum mechanics, we’re actually on both of those levels at the same time, so we’re already operating at a higher level. You just need to recognize that and do the things that the person on the higher level does. As you think about that from that woo-woo or personal accomplishment standpoint, we can operate at a higher level than what most of us do, and it’s not necessarily by working harder. It’s not necessarily by putting in the hours or doing things more. It’s simply acting a little bit differently, or doing a different activity than the one that we might be focused on. Some of the leaps that you and I talked about, one of them was when we started the event last year, The Copywriter Club In Real Life, or TCCIRL for short, it was one of those things that we had mentioned that, ‘Oh, we might get around to doing something like this in two to three years.’ Then the opportunity presented itself, and because it was just there, we jumped and we put together our first event, I think with about seven weeks’ planning, which was crazy, but it ended up being this awesome gathering of copywriters, and the learning and just the friendships that were formed there. It was this amazing thing that happened because we saw that opportunity and literally jumped and just made it happen. Kira: Right. Why would we go through that again? Rob: … it’s going even bigger, right? We’re going to have more people, and we’ve got almost 20 speakers lined up. It is crazy. Yeah, why would we jump again? Kira: Yeah. I’m really wondering that because leaping sounds very graceful and beautiful and exciting, but it’s not always that. I think leaping means that you slam into the side of a mountain, and you just get wiped out, and then you fall down to the bottom of the mountain. Then you have to climb up to get to the top of it. I feel like it’s not as easy as it sounds, and it can be painful, which I think we should talk about today, too. But for us, because we’re both very serious about building what we’re building together, I think we’ve just been all in and committed from the beginning. Leaping, taking several leaps, I mean, I think it’s just all we’re doing together right now, is just one leap after another after another. I don’t know if that’s healthy or smart to do, but that seems to be the way you and I operate together. Rob: Yeah. Well, and the other thing about quantum leaps, too, is that sometimes the electron doesn’t make the jump. There are times when you are trying to operate at that higher level and you fail, and that’s part of the process. A lot of people talk about failure, and how you’ve got to have these failures in order to learn, or whatever, and that’s totally true, for sure. Failing at things is part of the process of getting to the thing that works. When you take the opportunity to leap, yeah, you’re taking risks, and it might not work. I have no doubt that TCCIRL this year is going to be even better than it was last year. But there are those things that you do, that you try in your business, and it just doesn’t work. Maybe you try to bring in a partner or a junior copywriter to work with you and, for whatever reason, you don’t click. It doesn’t work. Or maybe you try to launch a course in addition to your copywriting services and, for whatever reasons, it fails. That doesn’t mean that the next thing won’t work, or it doesn’t mean that you shouldn’t try to do the same thing again. It just is part of the learning process. I think we got really lucky that TCCIRL last year was so great, and we found good people to help us. We found awesome speakers. The people that showed up to support us from the club were fantastic, and we really appreciate the support that they gave us last year. We’re excited to see so many of them coming back this year. Some of our speakers are coming back just to participate as attendees. A few of the attendees we’ve asked to speak this year, which is kind of awesome. Kira: Yeah. Yeah. I think the cool thing about when you take a quantum leap, like we did with the first event, is it does get easier. I do think when you start to take several leaps and make these big changes, you feel that confidence. Because we did it the first time together and it went well, I feel like you and I are pretty confident that we could do it again. It does get easier, and I think once you start getting in the practice of taking these leaps, if that’s something you’re into, you just start to believe, ‘Well, this is going to go well,’ like, ‘I can do this because I’ve done it before and I have a track record of doing it.’ That helps, but it doesn’t mean it’s less terrifying. I think for us, with the second event, why would it be terrifying for us? It’s because it’s a bigger financial investment for both of us, and when money’s involved and you’re making an investment, that’s really stressful. Then also we’re growing it, too. We want 150 people at this event this year. Last year we had about 75. Just scaling it up, I think there’s also … For me, it’s just also the expectation when something does go well, I sometimes question, ‘How can we top that?’ I also feel that pressure of how do we top something that I think was really kind of magical and awesome. How do we do that? I feel like there’s always additional pressure as you start to take on more challenges. How can you just make something else really great and its own special event? Rob: Yeah. As I mentioned before, we talked about this in The Underground, and we’ve tried to create some steps that are helpful to people who want to create quantum leaps in their lives and businesses, and part of the problem with it is that it’s really hard to define what a quantum leap is for each individual. For some people, like I mentioned before, it might be hiring another writer to work with, or putting on a course, or maybe it’s writing a book, or speaking on stage, or just doing something different and operating at a higher level. Maybe we can talk a little bit about some of the steps to help you identify those kinds of opportunities, or even how to picture yourself in that place, and then kind of look backwards and figure out, okay, how did you get to that place, what are the steps that we went on? What do you think about that? Kira: I think that’s great, but I think that we should probably mention when this does not make sense, because we were making it sound very exciting, like everyone should take a quantum leap, and I don’t think everyone should. Rob: Yeah. Yeah, for sure. Some people should only take one leap every once in a while, or one leap at a time, for sure. Kira: Yeah. If you’re in a place in your life where maybe you have a lot of changes, or you have a lot of responsibilities, or you just have taken a leap, maybe you didn’t even realize it, maybe you just had a baby, a child, or just got married, or had a huge move, or just started your business and have the first client, there are times when it may not make sense to do something as drastic as jumping to a different orbit. There are also times where it just makes sense to take baby steps, which are just as powerful and just make incremental changes in your business in a way that is a little bit safer and more manageable and has less risk, too, because oftentimes there is a risk involved when you take a quantum leap, and the risk could be personal. It could be with relationships. It could be with investments. It could be just with the time that you’re giving. I think it’s really important to realize that. As we’ve talked about this concept in The Underground with the members, we’ve challenged them to take a quantum leap if it makes sense for them. For some of them, it’s very clear that it’s not the right time to do that. I think just being very responsible and making that decision if it makes sense for you. Rob: Yeah. You mentioned the members in The Underground. A few of them have defined those leaps. They have just started their own freelance business. They leapt from working as employees and now today they’re on their own. That’s a huge leap. You definitely don’t need to take leap after leap after leap. Take a leap, get comfortable, then leap again when it’s time. Kira: Okay. Now that we have a disclaimer, how can they actually make the leap, Rob? How can we break that down for them? I think part of quantum leaps is that they come along, and we’re never ready for them. But when those kinds of opportunities that are really going to stretch you into something else come along, recognize it and accept it. Jump at it. Grab onto them and ride the ride to the very end. Yeah, sometimes it doesn’t work out. But so often, it does work out, and now you’ve got a new skill, or you’ve got a new thing that you do, a new offering for a client, and that leap has happened. You almost aren’t aware of it happening just because you’re on this crazy thing for the ride. Kira: Yeah. Some examples, just from members of our Underground, Kirsty Fanton, who’s actually a Think Tank member as well, she is launching a course on the psychology of copywriting. She is the psychologist. She’s been on our podcast. Super smart. She’s launching a course just based on her expertise and putting that out there in the world after kind of testing the idea. Linda Perry, who’s also a Think Tank member, she’s launching a course on limiting beliefs for copywriters and other creatives, because she knows how that can hold us back, and she’s tested her content with copywriters and just has realized how much it’s helped other copywriters. Do you want to share some of the ones from The Underground? Rob: I can think of a few in The Underground and even from our greater group. Raven Douglas, who’s in the bigger group, she took this huge leap and moved from the United States and is now in the Far East working as a copywriter full time, and awesome for her, because what a great experience, and what a great change. We saw Derek, who’s in The Underground, who went from full-time work and was laid off and then just has jumped into his freelance business and defining what is his USP, his X factor, determining what clients he needs to go after, and starting to see some success there, which is just … It’s fun to watch these kinds of changes that people undergo all the time. Again, we know that a lot of people are in different kinds of situations where they’re going through kind of a big change, and they’re just doing awesome, and it’s just fun to watch and see it happen. Kira: Yeah. I’m also thinking of a couple more. Robert Lucas, who’s in The Underground, has written a sales page a day for at least 30 days recently. A sales page. They’re legit sales pages. He’s not hacking the system. He is writing sales pages. He’s going to promote that in some way. I’m sure it will land him new business, because he’s a relatively new business owner. Justin Blackman, who’s been on the show and has talked about the headline project, where he’s written 100 headlines for 100 days, which is a big undertaking and has helped him as he’s grown his business. But that is definitely an example of a quantum leap. Then one more, Sorcha MacKenzie, who’s in The Think Tank, took on a challenge in January and she’s a branding strategist, and she created a challenge and invited a ton of different businesses, business owners, in there. It was called Jan Branduary, where she was helping them with their branding for their website every single day. It was just out of her comfort zone as far as the group dynamic, but she just took that on because that was moving her towards the direction she wanted to go in her business. You sort of have to pick that point in the future and then reverse engineer how it is that you got there. If you want to be the person that wrote 30 sales pages in 30 days, what does that look like? What are you going to have to do today? What do you have to do tomorrow? What do you have to do the day after that, so that you get to the point that you’ve made this jump. It does require a lot of energy. It does require a lot of hard work. This isn’t small and incremental change. This is huge, massive effort day after day for a short period of time in order to make you jump from one energy level to the next. Kira: Yeah. I think with a lot of the examples we’ve shared, most of them were intentional, like you said, and they knew the ‘why’ behind it. That’s what Bryna talks about in our interview. It’s just all about why are you actually doing this, and where do you want it to take you. What does that end goal, dream, vision look like for you? What are you working towards? She’s very much focused on the feeling behind it, which I know Danielle Laporte talks a lot about as well, just like what is that feeling that you’re going after. She gets into the nitty gritty with that. But I think the important part that I took away is just to be very clear about where you’re going, why you’re going there, how you need to feel. I think that’s important for the two of us with The Copywriter Club to have that intention and commitment. Otherwise, we wouldn’t even be here today. We would have given up a while ago. Rob: Yeah. We’re all in. We know where we want to go, and we’re there for the journey. Kira: Yeah, and why are we all in, Rob? What is the ‘why’ for you, to put you on the spot? Rob: That’s a really good question that I’ve thought a lot about. For me, part of this is just I love copywriting. I groove on it. I love reading sales pages. I love reading about copywriting. I love marketing. Just being able to be hip deep in the stuff all the time, it floats my boat. Being able to put together a business that allows us to teach what we know, to share and create relationships with other copywriters, and to be able to just hang out and do the thing that I really groove on and that just makes me happy, that’s the number one reason. How about you? Kira: Wow. I will answer that, but I think you can feel that from you. I think anyone that meets you or interacts with you online or offline, you can feel that you’re really excited about it, and that you can’t manufacture that. For me, it’s similar. I feel like I just … I really like copywriters, and I know we all call ourselves something different, and we’re not all actually stepping forward as copywriters, but that’s what we have in common. It’s like we’re writers, we’re creative, we’re strategic, we’re a little quirky and super smart, and I’m just going to keep complimenting all of us because we’re so great. But I just like this group of people that we’re surrounded by, and I also think the two of us really dig community and building community. I think this time in our lives, and where we are as a country, as a world, we need community and connection now more than ever. I need it personally, and I think if we can do something to build that and to connect people, I think that’s so powerful. I just want to connect with people who are really cool and share similar values and are different from me. Also, I think there’s also something about helping each other really just do really cool work in the world. I don’t think there was a path for us in school that said, ‘Hey, you could become a writer, and here are some different ways you can make money.’ People talked about writers like they were just going to be poor, and I didn’t even think that was an option unless you just wrote books, which is also a great option. But there’s so many other ways that copywriters can do great work, and I think we’re trying to figure that out and just get people together to talk about it so we can get more ideas and then support each other, and also actually do it in a way where you could make good money, too, if that’s important to you, and you could have great impact and do all those things that I think many of us were told isn’t possible. Yeah, I could probably just keep going on. We could just geek out on this stuff. Rob: It’s funny, though, that you talk about community and needing community, because both of us would call ourselves introverts, and we both kind of, I think, like being alone a lot of the time, or certainly like quiet time. Then we go and put together this conference for 150 copywriters to get together and hang out, and we’re not all standing against the walls. I mean, we’re actually talking to each other and having a good time. A few people are even in the nightclubs dancing away the night after it’s all over. It’s one of those things that, like we were saying, it just makes us happy to be able to do those kinds of things, and it’s been a fun thing to put together. Kira: Yeah, that is funny. I was listening to the interview with Susan Cain and Tim Ferriss, and I realize that not only am I an introvert, that I’m a shy introvert, and I’m also super sensitive. I’m like this great trifecta of just awkward. But I am social, so I can just flip a switch and turn it on. Alcohol always helps, too. Somehow it works, but you’re right. We just get together as a group, and kind of really great energy. Yeah. Why don’t we talk through the tips? Now that we’ve talked about the quantum leap, what it looks like for a lot of copywriters, and why it could be useful, why don’t we share a couple tips? If you do decide to take the quantum leap, these are some things you should think about. Rob: Yeah. We put together a training in The Underground, and we don’t necessarily want to share everything that we talked about in that training, because we respect what we’ve created for those people who are actually paying to be in The Underground, but I think sharing a couple of these ideas makes a lot of sense. One of the things that I think … If you’re thinking, ‘Okay, I want to make this leap. I want to do something different,’ is that you’ve got to get a really good grasp on where it is that you want to go. Picking that place in order to do that, it feels like you want to brainstorm a bunch of the different things that you can do to take yourself to that next level. Maybe you start by writing down 10, 15, 25 if you can get the number that high, different things that you could do, leaps that you can make, that would make a difference in your business. We’ve thrown a few of those out already as we’ve been chatting, but things like, ‘I’m going to sit down and I’m going to write my book in the next two months, and I’m going to get it up on Amazon, and I’m going to start using it to promote my business, and it’s going to be directed at my target audience. I’m going to be able to give it away to them as part of my lead generation package,’ something like that. There’s one idea for a leap. Or, ‘I am going to start pitching myself to get on stage so that I can talk to my ideal client at the conventions or at the meetings and workshops where they are, and I’m going to be talking about the five things that you can do to your website in order to get more customers,’ and there’s a leap. Coming up with just ideas of the possibilities. Not everybody wants to get on stage, so that’s fine. Don’t do that. Not everybody wants to write a book, and not everybody wants to do the things that we are doing, you and me, Kira. But come up with that list so you know where it is that you want to go as you start to make your leap. Kira: Cool. Also, another tip I would focus on is if you’re going to take a quantum leap, you should integrate some type of self-care plan, and I know self-care … Some people just get really annoyed with that term. I used to think it was stupid. Why would you need self-care? But I’ve learned the hard way that it really is important, especially if you’re taking on something uncomfortable and vague and draining and stressful. Figure out what that is for you so that you can take care of yourself during this time, because your quantum leap could be something you do in a week. We haven’t really talked about timing. Does a quantum leap take a week? Or it could take a year. It just depends on what it is. But especially if it is spanning months, or years, during that time how will you take care of yourself so that you can survive it, and that you don’t give up, and that you aren’t a basket case, and that you are a healthy human? We did actually create a self-care newsletter in The Underground last month, I believe, so if you do want to access it, you could jump into The Underground to access it and join The Underground to access it. But for me, it’s like a morning run every day, no matter what. It’s like trying to meditate, even though I find meditation very challenging, but trying to do that. It’s getting sleep. It’s just watching trashy TV just to unload my mind, and many other things that we talk about in that newsletter. Rob, what does self-care look like for you? Rob: Well, I’m one of those people that really doesn’t like the term self-care. Kira: But you do it. But you do it. Rob: Yeah. Well, I do. I exercise every day. That’s one of my goals going back to the summer, and I set that bar really low, by the way, to what qualifies as exercise so that I can make sure that I do it every day, because if I felt like I needed to get up and two a two-hour bike ride or whatever every single day, I wouldn’t do it. Every day, I have a minimum of 20 minutes of exercise. Sometimes that’s me on my rowing machine. Sometimes that’s me out for a run. Sometimes that’s me on my bike, depending on the weather. Usually, it goes much longer than 20 minutes. Usually, I’m there for a half an hour or an hour. If I’m on my bike, sometimes it’s two hours. But yeah, I do take care of myself. I don’t always think of it, though, as self-care. Maybe it’s my aversion to woo-woo. I don’t know. Kira: You’re slowly opening to the woo-woo stuff. But maybe we could just rebrand it and call it something else, because I don’t like talking about self-care either, but I do think it’s important. You’re doing a lot of it. I mean, you cut out sugar from your diet, which is crazy. But you’re doing a lot of it. Rob: Yeah, I try. I try to do a few things. But yeah. I mean, it is important, because making a quantum leap is not an easy thing to do, and you do have to take care of yourself throughout it. Another tip is that you have to know that you can’t just quit when it starts to get hard. If you are going to start pitching yourself to get on stage somewhere, if that’s your leap that you want to make, you’re going to deal with some rejection. You’re going to deal with people who say, ‘This isn’t the kind of topic that we want to hear.’ Some of that feels very personal sometimes, and you have to just be able to push through it. Or if you’re going to write a book, anybody who’s tried to write a book, the first 5,000, 6,000 words are pretty easy, but when you’re getting to 25,000 or 40,000, it gets really difficult, and it’s hard to keep up the momentum. It’s so easy to put it on the shelf and say, ‘I’m going to come back to this in a few months, or in a few weeks, or maybe never, because it’s hard.’ I think that not giving up is another thing that you really have to keep in mind. If you want to make a leap, you know it’s going to be hard and you know you’re just going to have to push through until it gets done. Kira: What do you do when you want to quit and have that thought? Well, before I ask that, have you thought about quitting, ever, The Copywriter Club because it’s hard? In a moment, have you ever thought that? Rob: Not The Copywriter Club itself, but maybe some of the things that we have done in it. Yeah, because again, I love what we’re building and what we’re doing together, but occasionally there are things where I’m like, ‘Oh, is this particular thing actually worth the effort, is it worth the fact that I’m sitting here on a Saturday afternoon doing the work?’ Those things are hard, and the answer at the end of the day for me, so far at least, has been yeah, it is worth the effort. It is worth sacrificing some things for what we’re trying to build in the future. Kira: Okay. Cool. I’m just thinking, I have had moments where I want to quit everything because it gets so hard. I’m trying to normalize that, but you’re not helping. Rob: I’m sorry. I’m telling you, you need to push through and make sure that you get it all done. Kira: I do. I know, I do push through, but I think it’s just good, if you’re taking a quantum leap, to know that you will have moments where you just want to give up, and it feels very hard, and you just want to cry, and so sometimes you do. But it’s also important to have some type of support group, accountability group, your inner circle, family, friends, colleagues, other copywriters, to know what you’re committed to and what that quantum leap is, so that when you have a hard time, or you feel like it’s falling apart, or you’re questioning it, that they can support you and provide encouragement or just hang out with you and be nice to you. It’s good not to keep this bottled up and not share with people. It’s really important to talk about it. Rob: Yeah. I know we keep talking about the event as we’ve been going through this whole discussion, but showing up at TCCIRL is one of those things that I wouldn’t necessarily call it a leap in itself, but it could lead to the kinds of leaps that you want to make. You’re hanging out with people that you can bounce ideas off of. You’re listening to the presenters who are talking about the leaps that they’ve made in their business, and a few of our presenters are very specifically going go talk about the leaps and the things that they did to get from just starting out to whatever the level is that they’re at. Some of them would call themselves six-figure copywriters. Or some of them are going to be talking about just how they’ve put together their products and taken ideas and made things happen. One of the things that … If you’re listening to this and you’re thinking, ‘Hey, I do want to make some leaps. Where do I get started,’ one of the best things you could do would be to come to The Copywriter Club In Real Life in Brooklyn March 14th and 15th and hang out with us. Let’s bounce some ideas around together, and let’s see what’s really possible. Kira: Wow, that was a really good segue. We want to challenge you. The challenge for this episode … We don’t usually have challenges, but the challenge is for you to take a quantum leap in your business, your life, and if the quantum leap happens to be buying a ticket and flying to Brooklyn, cool. Then everybody wins. But if it’s something else, then take that on and please let us know what that is and how it goes. But because we’re already talking about the event, let’s just share a little bit more information so you know why you should attend this event and what you’re going to get out of it. Rob, why are you most excited about this event? Rob: The thing that I love most about it are really the presentations. I’m a learner. I love the excitement that comes from learning new things. But the cool thing about the presentations, at least last year and what we’re expecting for this year, is that almost every single one of them was actionable. It wasn’t one of those kinds of events where you go, and you’re all excited, and you get on the plane, and you fly home, and then Monday you sit down at work again and there’s not really any substance to the stuff that you were learning. The excitement dies and fades away. But at The Copywriter Club In Real Life, you’re going to walk away with a notebook full of things that you can try in your business, whether they’re persuasion techniques, whether they’re ways to work with your clients, whether it’s turning your ideas into products, all of those kinds of things. You walk away, again, with a notebook full of ideas that you can put to use. I think we saw that last year after the event, where we saw so many people come back to us and say, ‘This was such an awesome event, and look at the new things that I’m trying out in my business, I’m creating this new thing, or I’m doing something differently with my products or my pricing,’ and that’s the thing that I like the most. How about you? What was your favorite thing from last year’s event? Kira: I don’t want to learn anything. I just want to attend the social event. No, I mean, actually, I didn’t learn as much at the event because we were organizing it, so I was in and out, but the talks just blew my mind, not just because of the content and what you learn. You will learn skills. You want to walk away with specific skills, you will learn some of that. You will walk away with a blueprint. We should, again, rebrand a blueprint, call it something else. A greenprint? Something else. But you will have a plan that you can walk away from this event within your hands from the ideas that you take in. Based on where you are in your business, based on what you need, you will walk away with something that you know you can implement. The talks also blew my mind because the copywriters just stepped up. The speakers that we invite really want to speak at this event. It’s not like we’re convincing them. If anything, we had a hard time this year because so many people wanted to speak. At least half of them work with speaking coaches and just bring their A game. They really do. You just would never know that copywriters can present in such a wonderful way. But my favorite part … This is a very long-winded answer. My favorite part is really the social element of it, because if you are going to fly somewhere and invest time and energy to go, a big part of that is not just about learning. It’s about building relationships that have an ROI. Even if you’re not thinking about it that way, the relationship will have some impact on your life. I think most people that go to our event are looking for relationships that will help their business. They’re looking for people that they may know for the rest of their lives. They’re looking for just a support team, people who can help them get leads and provide business advice. That’s what we do. We’re really good at that. If you don’t know anyone and you’re nervous because you want to go but you don’t have a little group to attend with, it can be intimidating. We do organize a lot of social activities so that you can meet people. It’s not just like you show up with people, and you hang out with the people you know the whole time because who likes actually walking up to a stranger? It’s so awkward. But we organize events. The first night we have dinner adventures where speakers take groups out, and we assign you to those groups because we want you to meet people you’ve never met before. That’s a really great opportunity to meet new people. Also, we have an optional activity on the Saturday which is just a ridiculous fun activity you can sign up for, just, again, to meet new people. Then we do host a cocktail party on the Friday night, which is just really fun, and just from there we’ll end up, who knows, at a beer garden and somewhere else. But there are so many opportunities for you to meet new people, and I think the whole attitude there is just how can I introduce you to as many people as possible. It’s just a really good vibe that is spread there. That’s what I like the most. Kira: That was a long reply. Rob: It was a blast. Last year, we did a different activity than what we’re doing this year, but we had a scavenger hunt, and we divided up in groups of five or six and competed against each other, and just had a really good time hanging out. The parties at night were fun. I know that there was an after the after-party party that happened at Katz’s Deli, and crazy things happened there, and then there was dancing at a nightclub after that. If you want to meet people and socialize, that’s always an option. Of course, you can always just come and listen to the speakers and go back to your room and veg, if that’s more your style. Kira: Yeah, and you don’t have to dance. I mean, we were awful dancers. There was one person out of seven of us who could actually dance in the group. But the rest of us were just like moving around. Rob: We’re going to run out of time here, but before we jump off, let’s just mention a couple of the things that are different from what we do and from maybe what you’ve seen at other events, other marketing events and that kind of thing. Most events tend to have just one or two big speakers, people that you haven’t heard of, but we’re bringing in for TCCIRL this year people like Joanna Wiebe, Tarzan Kay, Joel Klettke, Bond Halbert, and Sam Markowitz. Both of those are Halbert proteges. Bond is Gary Halbert’s son, and Sam worked with Gary Halbert. We have Chanti Zak who’s now known as the quiz person among so many different internet business gurus. Hillary Weiss, Lianna Patch, Val Geisler. The list just goes on and on, and there’s these people who are doing some really amazing things in their business. It’s not just four or five speakers, but literally, 20 speakers that are going to share their best business secrets with you. Kira: Yeah, and the cool part is you can actually, like I said, go out to dinner with them. Many of them are hosting dinners. You can actually talk to them. It’s not like they’re on stage and they won’t talk to you. They’re very friendly people. Also, what’s really cool is that we cover the three different pillars of copywriting, copy mastery, and then marketing, and mindset. We’re not just talking about different copywriting hacks. We’re going into business growth strategies, and then also weaving in mindset, which some people are not interested in, but it just plays into every aspect of building your business. We cover everything that you need in order to continue to grow as a business owner and human. Rob: Yeah, and a lot of other conferences, when you go and see the experts that are on stage are people who did things a few years ago, or they built a great business 10 years ago, and they’re not really doing anything anymore except for speaking. That’s not the case with anybody that’s on stage with us. Every single one of them is building a unique business. Most of them are working as copywriters and are actually still writing copy. But they’re just doing amazing things, and they’re going to share a lot of their secrets and what they’re up to. Like I said, this is why you’re going to walk away with a notebook full of ideas that you can try in your own business. Kira: Yeah, and the last thing I will add is that the venue is The Williamsburg Hotel in Williamsburg, Brooklyn. It’s a really cool neighborhood, and the hotel is beautiful. It’s just a really great spot for all of us, and it’s an easy Uber ride into Manhattan, subway ride into Manhattan if you want to explore the city. We will not be hosting in New York City next year. I don’t know if we can say that. We will be hosting the event somewhere else. If you want an excuse to go to New York City, this is a great time to go to New York City for this event. Rob: Yeah. It was such a blast last year, and even after the conference was over, there was a bunch of us that went to a comedy club. There was another group that went and saw a Broadway show. It’s so much fun to hang out with people who are part of the copywriting tribe, and we really hope to see as many of the people who listen to the podcast there this year to experience it with is. Kira: All right. If you’re listening and you have any interest in joining or signing up or buying a ticket, where do they need to go, Rob? Rob: The easiest way to find out about this event is to go to bit.ly, B-I-T dot L-Y, forward slash, T … These are capitals. Capital T, C-C-I-R-L 19. All those letters are capital. Bit.ly/TCCIRL19. All the details are there on the sales page. You can get your ticket there. Many of our speakers are going to be emailing their lists and sharing ways to buy a ticket with them. If you would rather, that’s cool, too. We don’t care how you get your ticket. We just want to see you in New York City so you can experience this awesome event that is going to happen whether you’re there or not. Kira: Whether you show up or not, it’s happening. Rob: That’s right. It’s happening. Kira: We really hope to meet you, to get to know you better in person, and we look forward to meeting you in March. Rob: We’ll see you there, everybody. You’ve been listening to The Copywriter Club Podcast with Kira Hug and Rob Marsh. Music for the show is a clip from Gravity by Whitest Boy Alive, available on iTunes. If you like what you’ve heard, you can help us spread the word by subscribing on iTunes and by leaving a review. For show notes, a full transcript, and links to our free Facebook community, visit TheCopywriterClub.com. We’ll see you next episode.